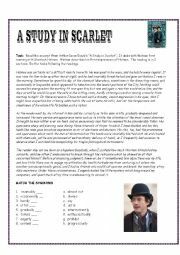 Exercpt from "Study in Scarlet" by Sir Arthur Conan Doyle describing Holmes� personality with 3 exercises. Key included. Three more listenings from the movie Sherlock Holmes. Key included. 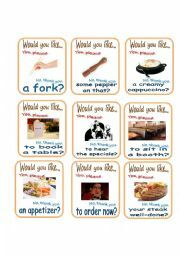 Go fish game for practicing food and restaurant language along with the question "Would you like...?" 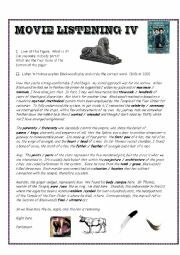 Instructions are in part 2. 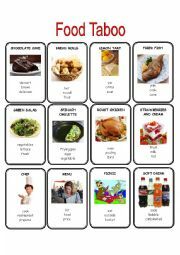 Three activities related to food and restaurants for intermediate learners. 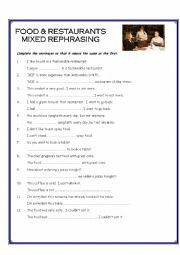 One mixed rephrasing, one passive voice rephrasing and one letter writing activity. 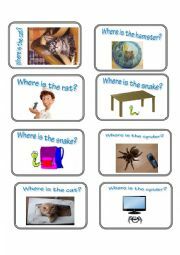 Good practice for the PET Exam. Key for the rephrasing is included. 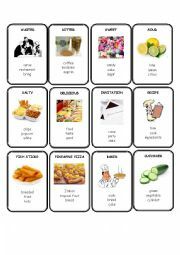 Food Taboo 2/2. 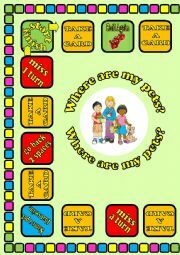 Put the students in groups. One student has the card which no one else can see. The student has to make the others guess what is on the card without saying any of the words on the card. 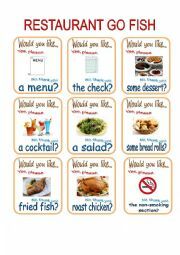 Food Taboo 1/2. Put the students in group. One students has the card which the others cannot see. That student has to make the others guess what the card says without saying any of the words on the card.